Most people in the gym fail to build muscle. They come and go but any visible progress is rare to be seen. I was one of those people, I corrected my mistakes and now I’m jacked. Check this list to see if you are making any of these mistakes. Don’t feel bad if you are making them. Remember, it’s never too late. Correct your mistakes and you will gain muscle mass fast. If you are not keeping track, you are shooting in the dark. The chance is slim that you will hit the target. Muscles are not built by random actions. Building muscle is the result of consistent efforts. It’s impossible to achieve consistency without tracking your numbers. How much weight do you lift for each exercise? For how many reps/sets? If you are not tracking these numbers, you will get lost and never build muscle. Don’t think that you can keep the numbers in your head. Write them down. I go to the gym with a written plan. How much weight I plan to lift for how many reps and sets-I write these numbers down. I also write down the actual numbers I manage to lift in the gym. I sometimes lift more than I planned, sometimes less. Doesn’t matter. I adjust my plan for the next session according to my actual lifts. There’s a reason this is #1. When Martin Berkhan wrote his famous article Fuckarounditis, he put this on #1 too. It’s that important. Training is waste of time if you don’t keep track. Muscle building is a matter of adaptation. You force your body to lift slightly more than it can handle, as a result, your body responds by building new muscle mass to comfortably handle the new weights. You make your body uncomfortable, and your body builds new muscle to comfortably meet your new standards. This is achieved by progressive overload. If you lift the same weight for the same number of reps and sets, your body will find no reason to grow. Always strive to lift more weight or do more reps/sets with the same weight compared to your previous session. You will not always manage to lift more but if you do everything right you will progress sooner than later. Deadlift is the king of all weightlifting exercises, yet it’s the most feared of all. Unless you are already injured, there’s no reason to be afraid of deadlifts. Note: Same goes for squats. I’m tired of seeing grown men lifting weights that a 10-year-old girl can lift. Unless you push the limits of your muscles, you will never build muscle. Most people in the weightlifting room never even break a sweat. Even though I never do cardio, my shirt is always soaking wet with sweat after my gym sessions. If you are not sweating, if you are not breathing heavy between your sets, if you don’t make yourself uncomfortable, then you will not build muscle. I’ve been in many different gyms across the world. I’ve only seen 2 men who may be overtraining. And that’s a maybe. Even them were probably not overtraining. Yet, everybody is terrified of overtraining. Unless you are training 5 hours a day every day, you are not overtraining. Your body is not that frail. Example 1: The sunken chest fellow who puts 200 lbs to the bench and presses that weight with the help of his spotter. How much of that weight did you lift by yourself bro? How do you know? Example 2: The noodle armed guy who tries to do weighted dips with 25 lbs hanging down from his waist. He moves 10 centimeters up and down for a few reps and calls that a dip training. No bro, you didn’t dip at all. I saw it. And I can see your noodle arms, who do you think you are fooling? If you are doing these, stop. Your lack of strength can be seen the moment you show up in the gym. You are fooling only yourself, not anybody else. Lift slightly more weight than you can handle. Don’t go overboard. Big, strong arms are impressive. Almost nobody sees you naked, so there’s no need to grow other muscles in your body, right? Your body is a whole unit. There’s rarely an action in real life that you only use your arm muscles. Your body moves as a whole and has to grow as a whole. You must train all the muscles in your body. That’s why compound movements such as deadlifts, squats, presses and rows are the best exercises to build muscle. I’ve never seen a man whose arms looked like Arnold Schwarzenegger but the rest of his body looked like Barack Obama. There are many people who avoid lifting heavy because they don’t want to look freakishly big like top bodybuilders. Building huge muscles doesn’t just happen. You will not wake up one day, looking like a bodybuilding champion. You will know it long before you get anywhere near too big. It’s impossible to grow that big without using steroids and training 3-5 hours a day. There are few exercises which build muscle mass and the rest are mostly unnecessary for the first 2-3 years of weightlifting. Sometimes you will see big, muscular men doing machine exercises or unconventional lifts such as chest flies. Those fellows already built the foundation and now they are sculpting their masterpiece. Unless you are already built like a tank with a 220-pound body full of raw muscle mass, stay away from anything other than basic lifts. Squats, deadlifts, presses, rows, dips, and pull-ups should be more than enough. Always remember to K.I.S.S. (Keep it simple, stupid) or you are shooting yourself in the foot. Men are fascinated by big muscles (not in a sexual way, of course). I will not be surprised if Arnold has more male fans than females. Every time I go out, men approach me to ask questions about building muscle. The #1 question I get is which supplements I use. Supplements are only a small part of the equation. They don’t help as much as people think. When you decide to build muscle, supplements should not be the first thing on your mind. Gloves, belts and lifting straps are not required unless you are an advanced bodybuilder or powerlifter. Even then, I never see advanced guys using gloves. Yet, the pencil armed newbie comes to the gym with full equipment. For what, really? Anything worth achieving takes consistent effort. One training session here, another training session there will not get you anywhere. I see people miss their training sessions for almost any reason. You have a date, your friends called you to meet, your mother asked you to go shopping, you have important people visiting your house, your girlfriend/wife/kids need to spend time with you, you didn’t sleep good enough last night, you feel tired, your muscles are sore, you are too hungry, you are too full and so on and on. None of these are good enough reasons to miss a training session. Understand that life will always get in the way. If you need excuses to miss a training session, you will find many. Read this article by Victor Pride to learn when to miss a training session. Human beings are at the top of the food chain. Your mind, combined with your body is the most advanced survival machine in the world. No other living being compares. If you are a human being, you have good enough genetics to build muscle. If you are not building muscle, go through this list to find what you are doing wrong. Even at the fastest pace, an average male will gain 2 pounds of muscle per month. This can only happen at the first 6 months of your weight training, and that’s when you are doing everything right. One pound of muscle contains 2500 calories. At max speed, you will need extra 5000 calories to build 2 pounds of muscle. While it’s hard to build muscle without putting on some fat, if you are putting on more fat than muscle, you are eating too much. There’s no reason to eat 5000-6000 calories a day unless you are on steroids. Find your maintenance calories and eat 200-300 calories over that number. There is the skinny guy who trains hard but has trouble putting on muscle because he is not eating enough. Almost always, these guys claim that they are eating too much but they are unable to gain weight. I don’t believe them. I’m not saying that they are liars. They are just overestimating their food intake. If you are this guy, measure everything you eat, count your calories, find your maintenance calories and eat more calories than your maintenance. After that, you will gain weight. This is another version of eating too little. Normal people eat way too little protein. If you want to build muscle you can’t eat like normal people. Eat at least 0.8 grams of protein per pound of your body weight every day. Fad, trendy routines you read in popular magazines (and their websites) are designed to sell more magazines, not for helping you build muscle. Think about it. Those magazines have to sell new copies of every issue they publish. 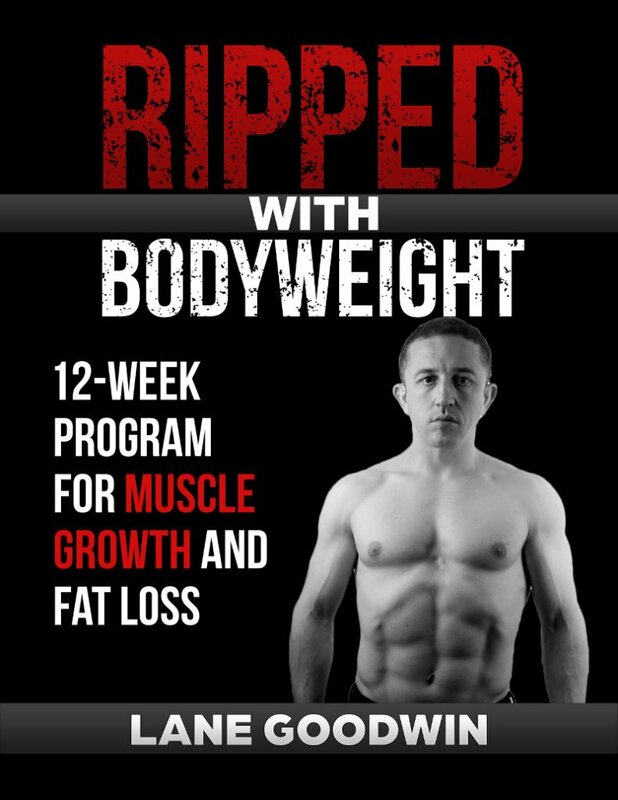 How will they make people coming back if they actually reveal the secrets of building muscle? Additionally, if they told the truth nobody would buy those magazines. Average people despise hard work and dedication. They sell these magazines to average people. Average people stay average and go back to those magazines. The cycle repeats itself. Follow a weightlifting routine that works. 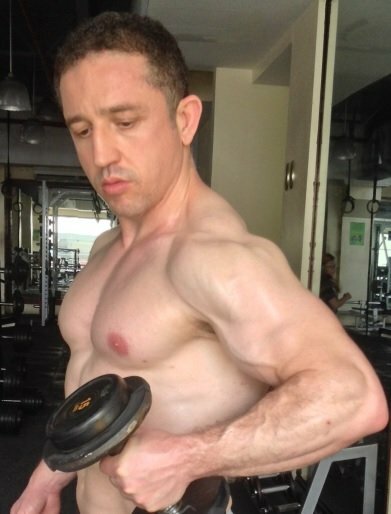 Read my guide to choosing a bodybuilding workout plan for beginners. The nerds of the internet ruined bodybuilding. Every bodybuilding myth(!) is debunked. Deadlifts, squats, bench presses can be replaced with machine movements, the new scientific evidence says that you don’t need that much protein, overtraining is real blah blah blah. Menno Henselmans calls this as nihilism in bodybuilding. Questioning is good but you have to take it to another level and question the scientific research too.